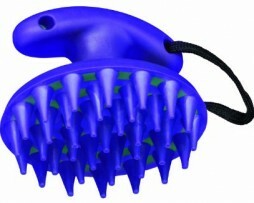 For use in a variety of hard conditions where a bit more grip is required, eg for sharp turns and jumping. 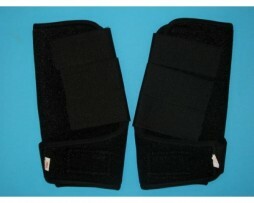 One of the best selling studs and is incredibly versatile. If you only buy one type of stud for competition use, this is the one we would generally recommend. 1. If you plug your stud holes, remove your plug by the most appropriate method this will depend on the type of plug you use.If you do not use plugs, remove the excess dirt and debris from the stud hole using your hoof pick or other preferred method: we find a horseshoe nail works best, but you need to ask your farrier to take the sharp end of the nail off before you use this method, or use a nail that is well worn. 2. Once you have most of the dirt and debris out of the stud hole, simply pick up the SupaStud you want to use and screw it carefully into the stud hole (it goes in clock-wise). Make sure that you are screwing it in with the thread in the hole and that you haven’t “cross-threaded” it – if the stud seems to be going in crookedly take it out and try again. 3. Once you have screwed the stud as far as you can with your fingers (this may not be very far at all, depending on the state of the stud hole!) use a spanner to tighten it. You should find that the stud will screw in all the way up to the stud’s shoulder (ie where the flat base of the stud meets the neck). Once you get to this point, give the stud one last quarter turn with the spanner if you can – this locks the stud in place against the shoe and should prevent it from loosening in use. • Unless you have used your studs very recently (in the last few days), it usually helps to prepare the stud holes the night before. You can then insert small road studs or travel studs to keep the holes clear, and it will be easy to replace these with your choice of studs for the competition the next day. • Make sure you keep your studs clean, with the slot and base clear of mud, as they won’t work properly if these are clogged up. The best thing to do is to clean your studs straight after you take them out, before they go back in your stud kit. o The type of competition/activity being undertaken. Why are SupaStuds different from other studs? SupaStuds differ from conventional studs because their unique shape makes them self-cleaning: as a result you should not need to tap out your studs holes before you insert your studs. They also undergo a special hardening process which makes them especially hard-wearing and resistant to rust – this process gives them their distinctive black colour. No!! This is a common misconception about SupaStuds. Self-tapping studs have been around longer than SupaStuds but have a completely different design and function – as you screw in a self-tapping stud, it re-threads your stud hole. Many people find problems with these studs as, after a few uses, the thread in the stud hole tends to deteriorate and it becomes unusable. SupaStuds do not re-thread your stud hole, they simply clean any dirt out as you screw the stud in. The thread in the stud hole is not compromised and, provided you take care not to cross-thread, you should be able to insert and remove your SupaStuds as many times as you like without the stud hole deteriorating. Do I still need to use a tap? If your shoes and studs are in good condition, you should never need to use a tap with SupaStuds. However, if you are inserting studs into worn shoes, very occasionally you may have difficulty with the initial phase of screwing in your stud. This is because, as the shoe becomes worn, it can affect the size and shape of the edge of the stud hole. If this is the case, you may find a tap useful to re-cut the entrance to the stud hole – after that, your SupaStuds should go in with no trouble. If you don’t have a tap, many people find that one of the larger styles of SupaStud will do the same job – if you are having trouble inserting a Mini Sharp, for instance, try inserting a Maxi Dome first (it may be worth keeping one especially for this purpose) then, once you have succeeded in inserting the Maxi Dome, take it out and screw in the Mini Sharp, which should now go in easily. Do I still need to use a spanner? Yes, you will always need to use a spanner to tighten your SupaStuds. Tighten them until they feel firm, then try to give them an extra quarter turn: this will lock the shoulder of the stud against the edge of the shoe and keep it firmly in place. How do I know what studs to use? • Use more pointed studs on hard ground, when grip depends on penetrating the surface, and squarer (or dome-shaped) studs on soft ground, where grip depends on the size of the surface area of the stud which is in contact with the ground. • Take into account the size of your horse/pony: the smaller the animal, the smaller the studs required. • Many riders prefer to use slightly smaller studs in the front shoes than the back ones. This is to allow an element of slide as the horse lands over a fence, which helps with shock absorption and may reduce the risk of injury. More information can be found in the “Which Studs When?” section of the website (see under “Advice on Studding” on the main menu). How often do I need to replace my SupaStuds? This is a difficult question as it depends on how often you are using your studs, on what type of ground and for what type of work. It also depends on how well you look after your studs – putting your studs away clean and dry after each use will prolong their life. SupaStuds are more hard-wearing than conventional studs because of the high-tech hardening process they undergo, but you should still expect some wear, especially on the pointed styles. 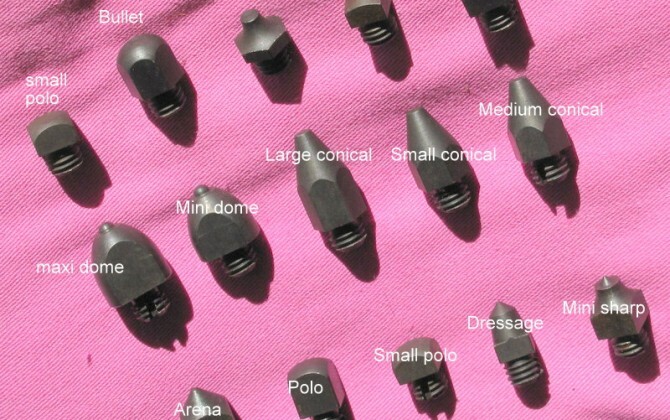 These are designed to lose their very sharp tip quite quickly, but remain effective as the weight of a horse easily pushes the stud into the ground even once the tip has rounded off. As a rough guide, provided you keep them clean and dry when not in use, you should expect a set of SupaStuds to last for at least one whole event season, if not longer. However, road studs which are regularly being used on tarmac may not last quite this long. How many studs does my horse need to wear? Opinions vary as to what is better for your horse: one or two studs per shoe, in front and behind or just behind. 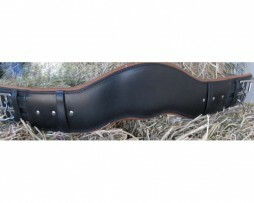 Basically, if you use two studs per shoe rather than one, you will improve the grip for your horse. In addition, many experts consider that the more symmetrical action of two studs stops any twisting of the limbs caused by one side of the shoe gripping better than the other, and hence reduces the risk of injury. However, you need to be aware of the potential danger of the horse catching its opposite leg with the inside stud. You can mitigate this risk to some extent by always using a smaller stud on the inside. Except where the work is very limited, we would always recommend using at least one stud in each shoe, ie in front and behind. I can’t seem to get my studs in – what am I doing wrong? • The hole is completely blocked, eg with grit. This must be removed before the SupaStud can be screwed in: the stud can remove mud, dust and stone fragments, but any larger grit or stones will block its action and must be removed prior to insertion. Try using an old horseshoe nail or similar to pick out the stud hole, but do take care to avoid injuring yourself or your horse. • The shoe is worn, so the leading edge of the stud hole has been distorted. If this is the case, try using a larger style of SupaStud to initiate the process. If this doesn’t work, in exceptional circumstances you may need to use a tap to re-shape the entrance to the stud hole. • The thread on the stud has been compromised through cross-threading. Check the stud to see if you can see any damage to the thread. Try a different stud to see if it will go in. • The thread in the stud hole has been compromised through cross-threading. Try using a tap, if you have one, to re-thread the hole. 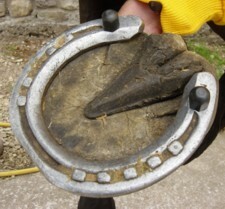 If this is not successful, you may need to get a farrier to use his specialist equipment to re-thread the hole. Notes for first-time stud-users: Inserting studs can be time-consuming when you and your horse aren’t used to it, so just because it seems difficult doesn’t necessarily mean you are doing anything wrong. Always leave yourself plenty of time – consider inserting road studs or travel studs at home the day before the competition, when you aren’t under such pressure and your horse is relaxed. You can change these for the studs you want to use when you get there. If you are having real problems with inserting your studs, try and find someone more experienced to give you a hand and see where you are going wrong. Why don’t SupaStuds have tungsten tips? We do not believe that tungsten is the best material for studs: although it is very hard, it is also quite brittle. As a result, over the long term, studs with tungsten tips are vulnerable to either of two problems: either the tungsten tip may break off and fall out, or the rest of the softer metal around the tungsten tip may wear away, leaving a dangerously sharp point. So we don’t rate tungsten. 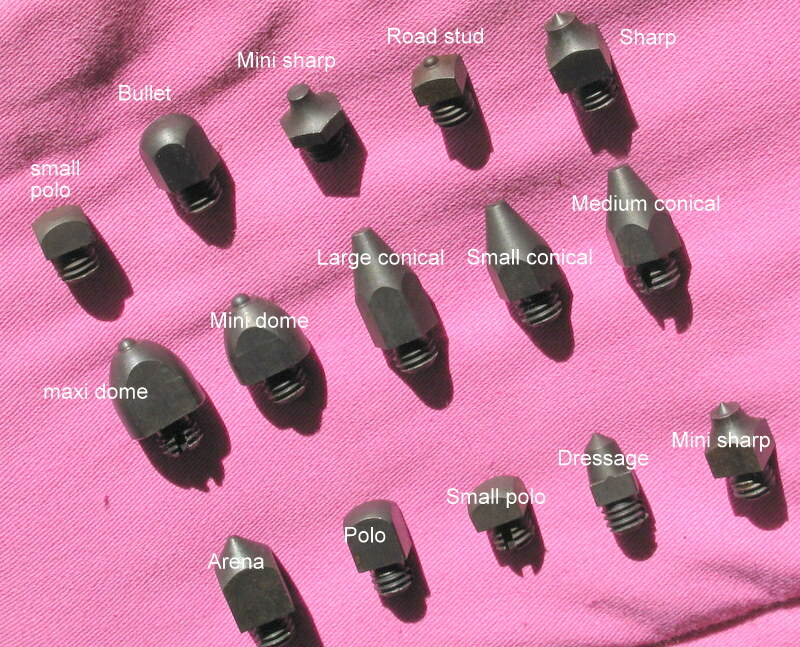 Our approach is to harden the whole stud, not just the tip. This makes wear on the stud more even, and renders the threaded section harder-wearing too, so the studs should last longer. Should the black coating on my SupaStuds come off? When you buy your SupaStuds their distinctive black colour comes from the unique hardening process they have undergone, known as nitro-teching. This black layer does come off (look at your hands after you have handled new studs! ), but this does not mean that your studs are faulty.